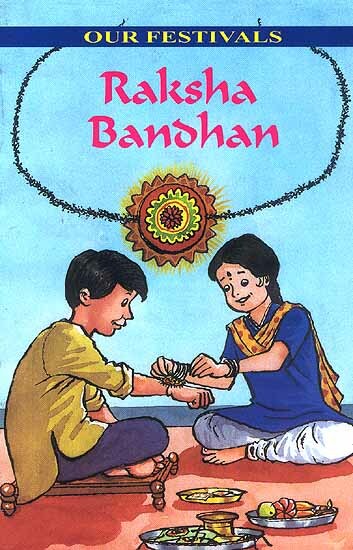 Today is Tuesday and not any other Tuesday, Today is Rakhi/Raksha Bandhan day. It's a very special occassion for a sister or a brother. This is one of the sweetest celebration of India to express the immaculate love between brothers and sisters. Raksha Bandhan which means a 'bond of protection'. This is an occasion to flourish love, care, affection and sacred relationship between brothers and sisters. 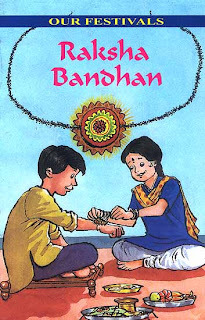 On the day of Rakhi(East Indian) or Raksha Bandhan(North Indian) festival, the sister ties a silky thread called Rakhi on the wrist of her brother and both make prayer to God for the well being of each other. Sisters perform 'aarti' and put tilak on the forehead of her brother. In return, brothers pampers and blesses the sisters and promises to protect her from all the evils of this world. He also present a token of his love and affection as a Rakhi gift. To celebrate this special occasssion, here is a yummy recipe of Paneer, Paneer Dhaniya(Indian Cottage cheese cooked with coriander leaves & Yogurt). You can make any brother happy with this recipe. Wish all the brothers and sisters a Very Happy Raksha Bandhan. Today is another special day, when we publish our bookmarked and tried and tasted recipes from other food blogs. 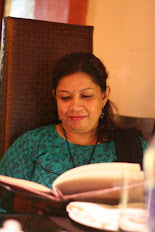 An wonderful event started by Priya of Mharo Rajosthan's Recipes. This week, I want to publish a keeper recipe from Pari of Foodelicious, Paneer Dhaniya. I just knew that I have to try this one as soon as I saw her post. 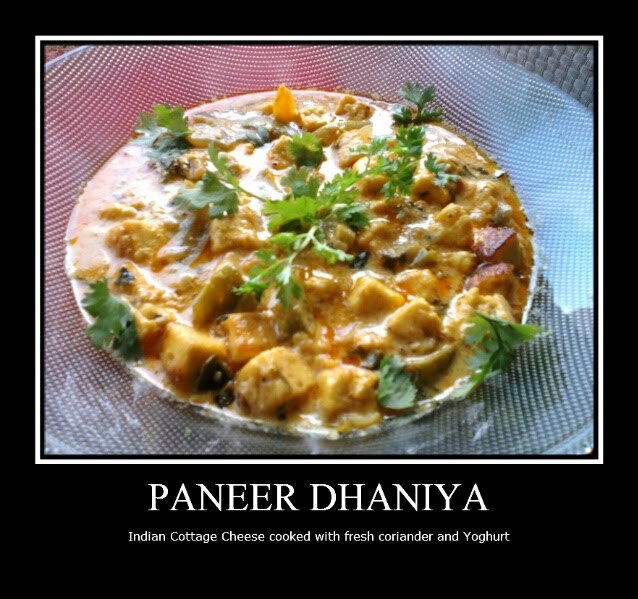 First and main reason, I need to collect paneer recipes because, my daughter is a paneer freak. If she could eat only paneer, then it would be best for her. Secondly, Pari's recipe sounded and looked so yumm and the method is also very simple, easy-to-cook and healthy. So, I tried that same very week but couldn't post earlier. I followed her whole recipe as she has given, only I didn't add the cream, to make it less rich. But the taste was great without it. Thanks, Pari for sharing such nice recipe..my daughter was licking her fingers even after she finished her whole plate. White/black pepper : 1 tsp. Corn starch : 1 tsp. Butter / oil : 2-3 tbsp. Heat butter or oil in a pan, add green cardamoms. Once the cardamoms crackle, add ginger-garlic paste and saute taking care that it should not burn. Add the onions and green chilies and saute till the onions are lightly brown. Add the cubed cottage cheese and saute it nicely in the onions so that it incorporates the flavors. Now add little salt, white pepper, turmeric and chilli powder, according to your taste level(don't forget we already added green chilli) and 3/4 of the chopped coriander. Mix thoroughly. In the yogurt add the cornstarch and beat lightly, and add this to the preperation. Keep the flame low all this while and mix properly, cornstarch prevents the curdling of yogurt. Cook for about a minute. Add the milk and bring the curry to a boil then cover and cook in low for few more minutes. Once the curry thickens, switch off the flame. Garnish with remaining coriander. Serve hot with any Indian flatbreads and see how your friends, relatives and nice ones just enjoy this amazing dish.............Bon Apetit!!!!!!!!!!! 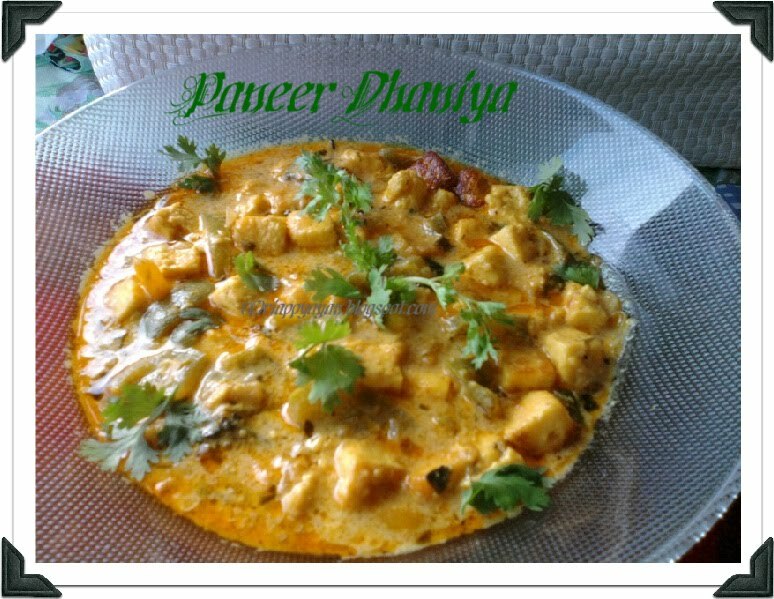 hppy rakshabandhan,..paneer curry looks deliicous,..
How are you ? I liked this recipe and was planning to cook it when I read it at Pari's..WIll try ..Now I am chilling at Taipei for few days and will (offcial work , not vacation chilling :-)).will be back on friday...let me check what all you have cooked these days. 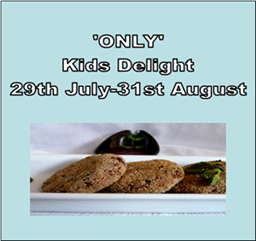 Mouthwatering dish, very tempting clicks.. Thanks for both your entries. Darun dekhte akta tempting dish..dekhei khide peye galo....kamon achho? ?